- Canada's Struggle To Lower Greenhouse Gas Emissions: "IEEE Spectrum Reports"
- Special Offer for Canadian Employers. Post Your Open Position on the IEEE Job Site Free of Charge*! - Employers - Post Your Summer Internship Jobs on the IEEE Job Site at No Charge! IEEE Canada Spring Board of Directors meeting will be held at the Sheraton Wall Centre in Vancouver, BC, on April 20 - 22, 2007. Representatives from all Canadian IEEE Sections will review current activities and discuss strategic plans to enhance organization's performance. IEEE Canada Board meeting will be held in conjunction with CCECE07 20th Anniversary Conference. The IEEE Canada Education Committee is undertaking a new initiative to provide members with a number of educational programs and activities in 2007. The objective is to provide members with a number of training modules in different technical areas as well as in soft skills that are required by most members. The registration for these training courses is free except for the cost of making a long distance telephone call. This is the first training module of the series. The training is being delivered to all members through a web based application software (Webinar) that we are trying for the first time. The IEEE Canada Education activity chair invites you to join the first Webinar on "Leadership skills" (please announcement below). To join the Webinar you will need a personal computer and a phone. The personal computer will be used to follow the presentation broadcast. You will use the phone to listen to the presenter's voice. Please note this Webinar requires you to dial a long distance number, as such the only cost you will incur for this seminar is related to your regular long distance charge. Leadership is highly respected in business and in the world in general. Change and innovation are accomplished because leaders conceive of new ideas, and guide people along the way to accomplishments. Many people aspire to be leaders. Many people believe that leadership comes with a title. In fact, this is not the case. People are awarded positions and titles of leadership because they have shown leadership skills in past activities. Thus, many people are actually leaders, even without the title. This talk discussions what leadership is, the differences between leadership and management, and how people can successfully work towards positions of leadership. Celia Desmond is President of World Class – Telecommunications, which provides training in management skills in business and telecommunications engineering environments. She was instrumental in creating a Masters Program and a Certificate Program at <?xml:namespace prefix = st1 /> University of Toronto. She has lectured internationally on programs for success in today’s changing environment. At Stentor Resource Centre Inc. she was instrumental in establishing the Stentor culture and processes, and in obtaining buy-in from the employees to adopt and grow the new organization. She developed and implemented processes for service/product development and for project governance. As Director - Industry Liaison, she was the external technical linkage to the Stentor owner companies, their customers, and the international technical community In various positions at Bell Canada, Celia provided strategic direction to corporate planners, ran technology and service trials, standardized equipment, and issued guidelines for the member companies. In Celia's previous line positions, her groups provided technical and project management support to large business clients. She is author of Project Management for Telecommunications Managers, published by Kluwer Academic Publishers (now Springer). Celia is the 2007 Director and Secretary of IEEE ( Institute of Electrical and Electronics Engineers), and she was 2006 IEEE Vice President – Technical Activities. She is also Vice President Membership for IEEE Engineering Management Society. She was 2002-2003 President of IEEE Communications Society. 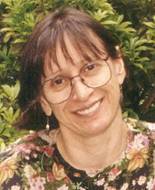 In 2000-2001 Celia was President of IEEE Canada, and she served her second term on the Board of Directors of IEEE as Region 7 Director. She was 1997-1998 Division III Director. She has twice served in the IEEE Audit Committee, including serving as Chair, and actively participated in numerous other TAB, RAB, IEEE and Society committees. She was 2004 Chair of the IEEE Transnational Committee. She is a member of the Board of Directors of the IEEE Canada Foundation where she is the Donations Chair. Celia was awarded the Donald J. McLellan Award for meritorious service to IEEE Communications Society, the Engineering Institute of Canada John B. Sterling Medal in May 2000, and the IEEE Millennium award. She is a Senior Member of IEEE. The IEEE Industry Applications Society Industrial & Commercial Power Systems Conference has maintained a long standing tradition of a valuable place for electrical engineers to present papers and meet with one another to discuss electrical power system work. In 2007, the conference is expanding to include more tutorials, vendor displays, and a larger audience. Timing is perfect for the venue to be in Edmonton because of the rapid growth and increased demand for power in the region. Engineers can take advantage of the expertise given at the venue, and relate that to relevant work experience. Participants will be sharing experiences with engineers, electricians, scientists, safety professionals, and others all interested in advancing electrical power systems. Edmonton provides a unique venue for the event, such that it is one the strongest growing and developing epicenters in North America for Industry. As such, it gives attendees a first-hand experience at the intricacies of the market and the specific requirements for expanding into the region. This international conference is directed towards the research, development, and user aspects of electronic security technology, including principles of operation, applications, and user experiences. It is a forum for the exchange of ideas and dissemination of information regarding new and existing technology, as well as the impact of security-related technology on society. Participation in the Carnahan Conference also provides a basis for long-range support and assistance to authorities and agencies in the use of technology for security, safety, law enforcement, and emergency response purposes. Established in 1927 and awarded every other year to commemorate the great service rendered to engineering by Sir John Kennedy, a Past President of the EIC this medal is the most distinguished award of the institute. It is awarded in recognition of outstanding service to the profession or for noteworthy contributions to the science of engineering or to the benefit of the Institute. 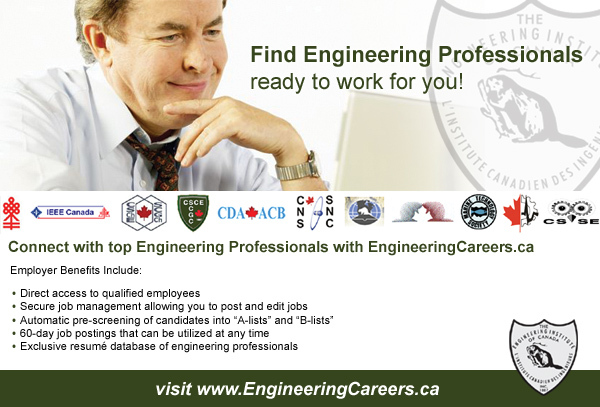 The Engineering Institute of Canada elects annually a select number of engineers to the grade of Fellow for their exceptional contributions to engineering in Canada. Dottore Bruno N. Di Stefano, President, Nuptek Systems Ltd.
Slawomir is a Research Associate in Simulation Optimization Systems Research Laboratory, Department of Electrical and Computer Engineering, McMaster University. He received the M.Sc. and Ph.D. (with honors) degrees in electronic engineering from the Gdansk University of Technology, Poland, in 1995 and 2000, respectively. He also received M.Sc. 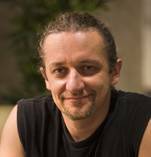 in theoretical physics and in mathematics from University of Gdansk, Poland, in 2000 and 2002, respectively, as well as PhD in mathematics (with honors) also from University of Gdansk, in 2003. 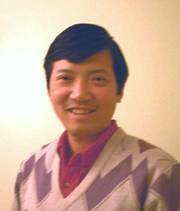 He was granted Fulbright Scholarship for the academic year 2003/2004 and, during this period, he was doing research in Analog and Mixed Signal Center, Texas A&M University, USA. His research interests include circuit theory, analog signal processing, active filters design, evolutionary computation, numerical analysis, computer-aided design, space mapping based optimization and modeling. Charles earned his BSc from Shanghai Jiao Tong Univ in China in 1985, and his MSc and PhD from Computer and Information Science at Univ of Pennsylvania in 1987 and 1989 respectively. Since then he has been a faculty member in Computer Science at The University of Western Ontario (UWO). · How to program computers to learn and improve automatically (machine learning), and how to apply machine learning to business, industries, and bioinformatics (data mining). · How to effectively teach children thinking strategies extracted from AI and cognitive science (child education). · He is an Associate Editor of IEEE Transactions on Knowledge and Data Engineering (TKDE), Senior Program Committee of 2007 SIGKDD, and Area Chair of PAKDD'07. He is also a Senior Member of IEEE, and Lifetime Member of AAAI. He has published over 100 research papers in peer-reviewed conferences and journals (most are downloadable). (In 2006, one IJCAI'07 paper, two AAAI papers, one ICML paper, one KDD paper, two ICDM papers, and six journal papers have been accepted/published). As the Director of Data Mining and e-Business Lab at UWO, he is leading data mining research and projects on CRM (Customer Relationship Management), direct marketing, search engine, action mining, Bioinformatics, and so on. · He has extensive industrial experience with Microsoft Research, London Life of Canada, Sun Microsystems, Royal Bank of Canada, and so on. Professor, Department of Electrical Engineering, Department of Engineering Physics, École Polytechnique de Montréal. Professor Kashyap is Canada Research Chair in Future Photonics Systems. His research is designed to lead to the development of novel applications in photonics, especially those involving the influencing of all optical transparent networks, signal processing, instrumentation and bio-medical sensing. Mr. Kashyap is exploring advanced photonics and optoelectronics as well as telecommunication devices and applications based on complex filter technology and tuneable photonic band-gap structures. Kristiina is a Vice Chair Engineering in Medicine and Biology Chapter, Toronto Section. 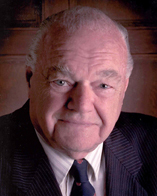 Nick joined the IEEE in 1987 and became Publicity chair of the Vancouver Section in 1989. He continued to hold this position until 2003 when Vancouver executive Gruja Blagojevic took over Publicity. However, he stayed on as Gruja's behind-the-scenes helper and continued to produce the Vancouver Section newsletter without interruption. To date Nick has produced 160 CONTACT newsletters spanning 18 years without missing a deadline. Professionally, since the late 80s, he has developed software supporting several varieties of business database applications, including original design and development of complete solutions. Before the PC revolution he specialized in low-level modifications of IBM systems software such as MVS and JES3. Nick graduated from UBC with a B.Sc. in mathematics and computer science in 1967, and programmed his first computer in 1961 and his first 'IBM machine' in 1956. Currently he is prototyping an innovative application which permits any user to create text documents in any one of 20 languages using the same keyboard after 1 - 2 minutes of training. 2008 IEEE Sections Congress will be held 19 – 22 September 2008 in <?xml:namespace prefix = st1 /> Quebec City, Canada. The theme for SC08 is “Celebrating Volunteer Achievements Worldwide”. The specific program for the event is being developed but we do know that the IEEE Board of Directors has agreed to conduct the 2008 IEEE Honors Ceremony with IEEE Sections Congress. The ceremony highlights the accomplishments of each year's IEEE Award and Medal recipients. All SC’08 participants will be invited to attend the ceremony. Please plan on having a representative from your Section attend SC08. An updated version of the IEEE Identity Standards document is now available online at www.ieee.org. The document explains the correct usage of the IEEE name, Master Brand and other organizational symbols in all official materials, communications and promotional materials produced by the IEEE, both print and electronic. The rules for use of the IEEE Master Brand have not changed, however, language has been clarified to address frequent questions, the most common usage errors and correct usage on Web sites. Additionally, visual examples regarding use of the Master Brand with the name of an IEEE event or unit have been added. To access the updated Identity Standards document, visit <http://www.ieee.org/web/publications/rights/idstandards.html>. Friend of IEEE Regional Activities Award - Does your Section get support from a local company to conduct activities? If yes, consider submitting a nomination for Friend of IEEE Regional Activities Award. Nominations are accepted at any time. The recipients are provided with an attractive plaque. Examples of support include getting time off to travel to IEEE meetings, offering company space to conduct IEEE meetings, encouraging and/or promoting membership in professional organizations and/or supporting the volunteer by permitting free or discounted use of company resources for such things as telephone, fax, electronic mail, printing newsletters and/or other circulars. Visit the RAB Awards page <http://www.ieee.org/rabawards> or send an email to rab-awards@ieee.org for more information. The IEEE Educational Activities Board is seeking nominations for its 2007 Education Awards. In addition to its seven existing recognitions, a newly-established annual award for Meritorious Achievement in Informal Education will be presented this year. The Meritorious Achievement in Informal Education award recognizes IEEE members who volunteer as librarians, docents, tour guides, or curators; or who act as technical advisors to or serve as board members of aquariums, museums, parks, zoos or similar settings where teachers, students, and the public benefit from their professional expertise in science and technology. The deadline for all nominations is 30 April. For descriptions of the full list of the awards, visit <http://www.ieee.org/web/education/EABAwards/index.html>. For access to nomination packets, visit <http://www.ieee.org/web/education/EABAwards/calls.html> and click on the award for which you would like to submit a nomination. Questions can be sent to eab-awards@ieee.org. The IEEE Electron Devices Society invites the submission of nominations for the 2007 EDS Ph.D. Student Fellowship Program. The award is presented annually to promote, recognize, and support graduate level study and research within the EDS' field of interest. At least one fellowship is awarded to a student in each of the following geographical regions every year: Americas, Europe/Middle East/Africa, and Asia & Pacific. The award is a check for $7,000 to the student and a plaque presented to the student at the IEDM. The deadline is 15 May 2007. Like the night warrior of the sky, the first quantum computer ever to go live, Orion, will be able to take on multiple challenges at once in a fraction of the time it takes conventional computers. Built by D-Wave, a quantum-computing company based in British Columbia, Canada, the computer houses a supercooled, superconducting niobium chip housing an array of 16 qubits. Comprised of superconducting metal niobium, it is supercooled to near absolute zero to allow the qubits to maintain their quantum state throughout a calculation. Orion is set to solve some of the most difficult problems plaguing computers, that of the nondeterministic polynomial variety (also called NP-Complete). NP problems are the most difficult to solve on conventional computers because each variable adds yet another dimension to its possible solutions. NP-complete problems exist everywhere in computing, from database searches to pattern-matching to medical applications that identify diseases from symptoms and matches for genetic material. D-Wave plans to lease time on the computer, which will be accessed over a secure Internet connection. CANADA'S STRUGGLE TO LOWER GREENHOUSE GAS EMISSIONS: "IEEE SPECTRUM REPORTS"
Special Offer for Canadian Employers Post Your Open Position on the IEEE Job Site Free of Charge*! The IEEE Job Site connects you with senior-level managers, top engineers and technology experts in every sector - the leaders shaping innovation and business. Make job offers to these top-notch candidates before your competitors know about them - free of charge*! 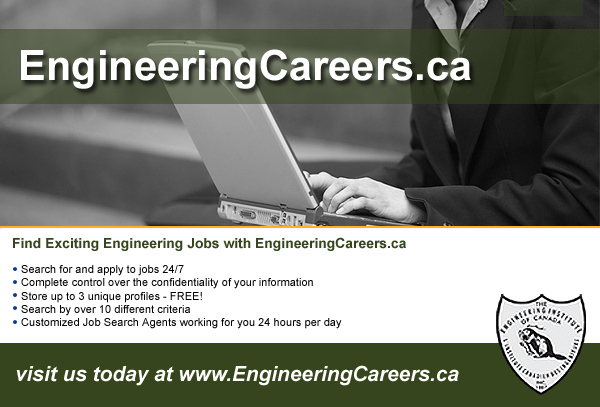 If you have any questions, e-mail at employerjobsite@ieee.org. Employers - Post Your Summer Internship Jobs on the IEEE Job Site at No Charge! Hiring interns is the best way to attract new talent within your organization, while exposing them to the practical and valuable experience they will need when they graduate and join the industry workforce. In addition, hiring interns also helps your company cost-effectively meet their short-term need for extra assistance in today's tight labor market. simply click here. Then select Internship as your Job Type* in Screen 2 Post A Job) and enter Promo Code JSINT7 at the Checkout Screen. But don't delay - This offer is only available from 3 April 2007 - 30 June 2007. If you have any questions, please contact us at employerjobsite@ieee.org. "Job Type - Internship" must be selected in order to qualify for this special promotion. People proudly list certifications on their resumes. But what does the veritable alphabet soup of letters hiring managers find themselves staring at really mean? It depends. Far too often, says a Network World article, the manager makes a hiring decision based on an incomplete understanding of what a particular certification says about a candidate's ability. And "the techie, who sought the certification as a means of improving his station in this world, is happy to let the employer make that ill-informed decision, and both parties end up disappointed when neither gets the performance they expected," says a veteran project manager. He adds that although certifications have value, there is no replacing university degrees and experience. There is also a concern that too many hiring mismatches where certifications are the deciding factor will devalue them in the eyes of employers. For more IEEE conferences, visit IEEE Conference Search at http://www.ieee.org/conferencesearch/.